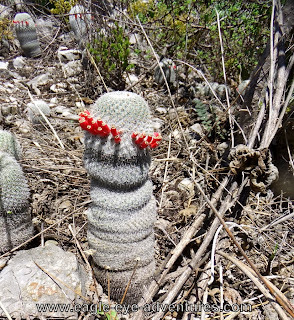 Here are some magnificent plants that are typical of some spots we see on trips to northern Oaxaca. 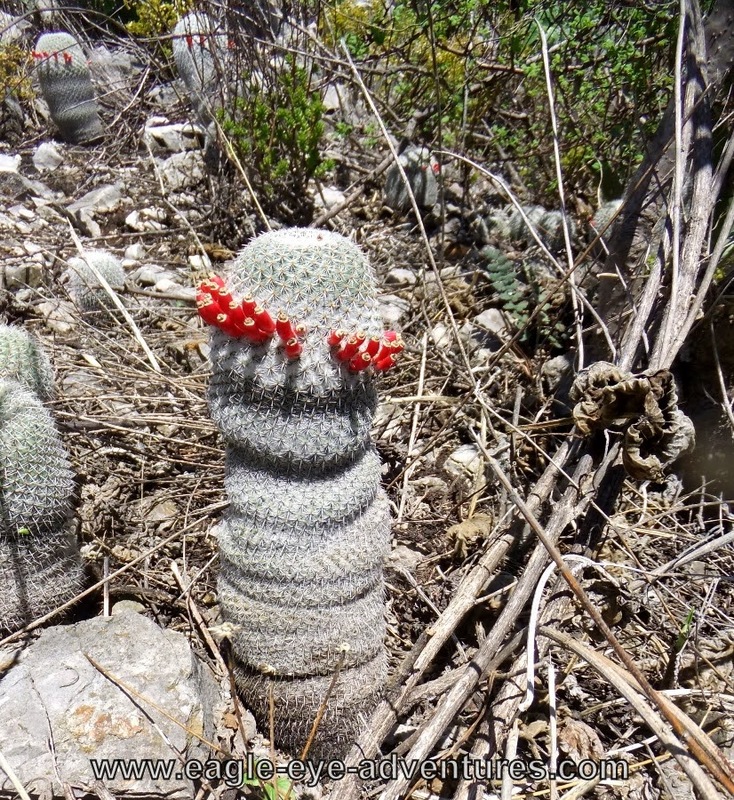 These old Mammillarias have clearly been established for quite some time, probably not long are the highway was built. 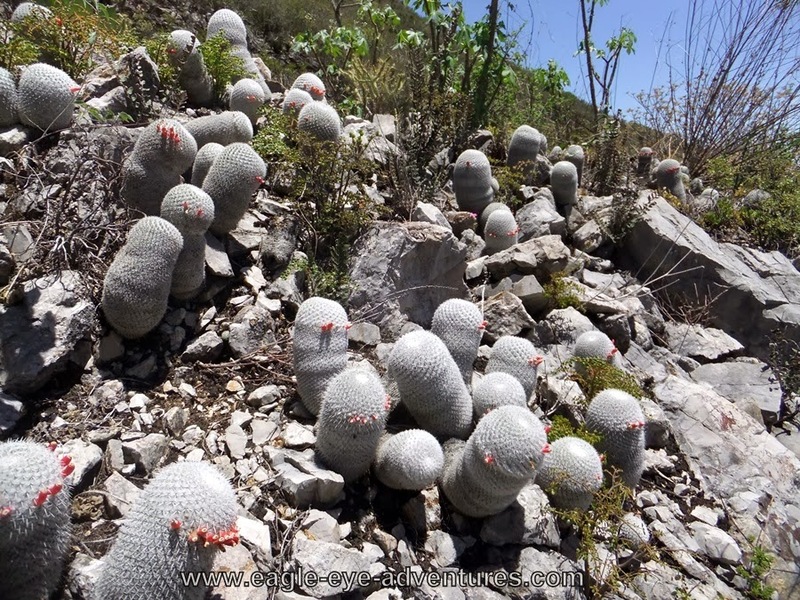 It almost never ceases to amaze me the number of different species and quality of the plants when exploring in Oaxaca! Here the plants were in full fruit in June, just the beginning of the rainy season. Once the birds eat these tasty fruits, they will distribute them just in time for the rains to help get the seedlings established. The bright red color and nice tart taste mean that they probably are loaded with vitamins and nutrients that are important parts of the seed dispersal animals' diet. 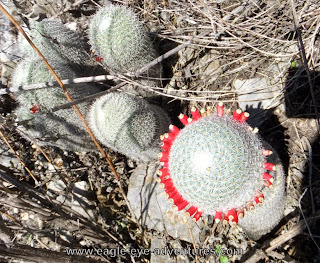 The fruit make a complete circle around the top of the plants, making a showy and long lasting display. Probably a better visual show than the actual flowers! They can make quite extensive 'colonies' of individuals and small clumps. 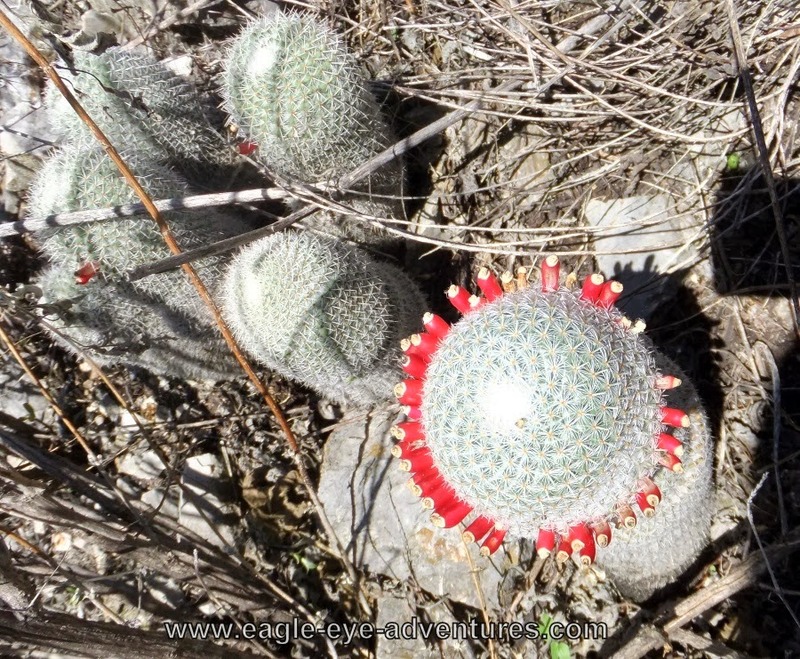 An impressive collection of plants within steps of the highway--easy to get to if you know where to look!